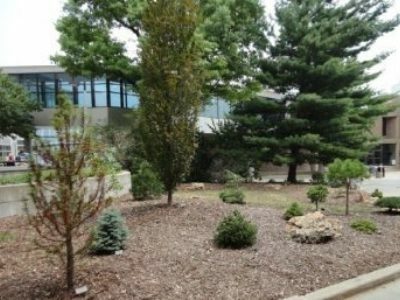 The University of Iowa has two gardens on its grounds that were accepted into the ACS Conifer Reference Garden Program in 2014, the year that the University made its first foray into dwarf conifers. 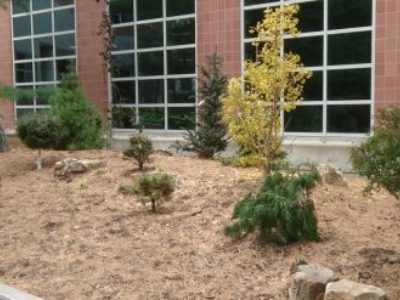 Inspired by Dennis Hermsen, Ed Rinderspacher, and Pam Maurer among others, the University installed a garden at the Hancher Performing Arts Center. 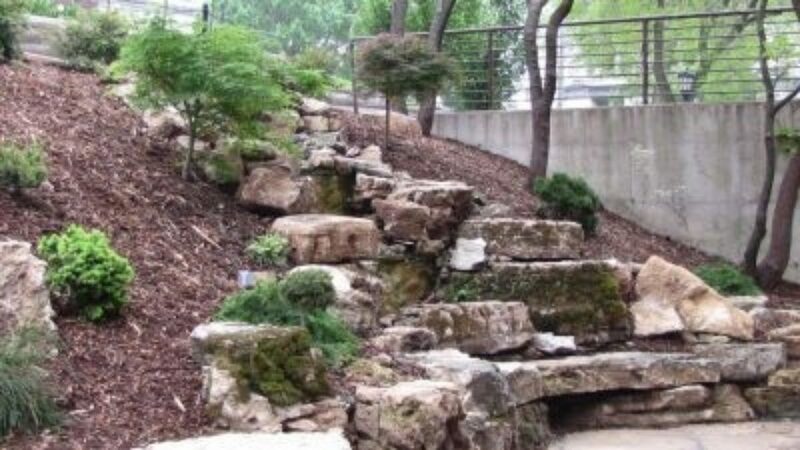 What began as a clandestine project was met with accolades, and the University decided to incorporate more of these gardens into the campus landscape. 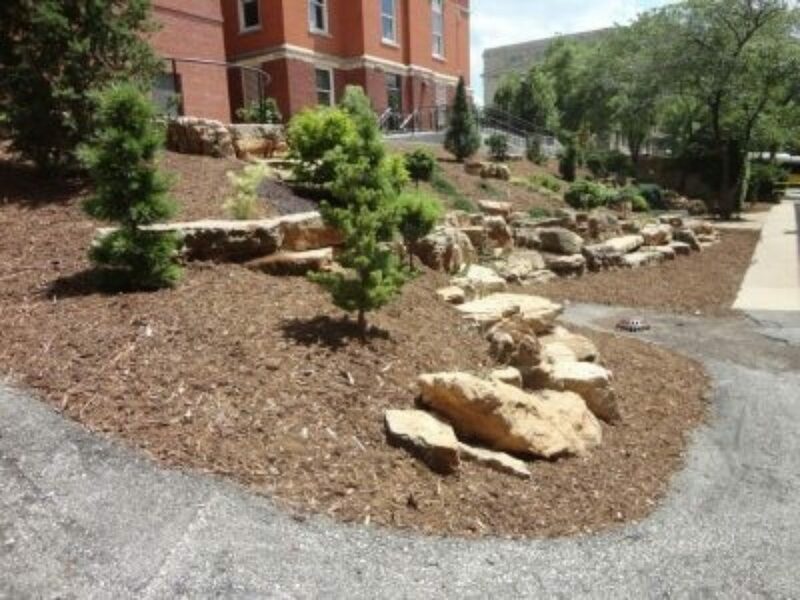 Currently, there are five installed, although only the two largest, the Dancer's Garden and the Eckstein Medical Research Building Garden, have become part of the Reference Garden Program. The first Reference Garden, the Dancer's Garden, is the crown jewel of the University’s conifer collections. 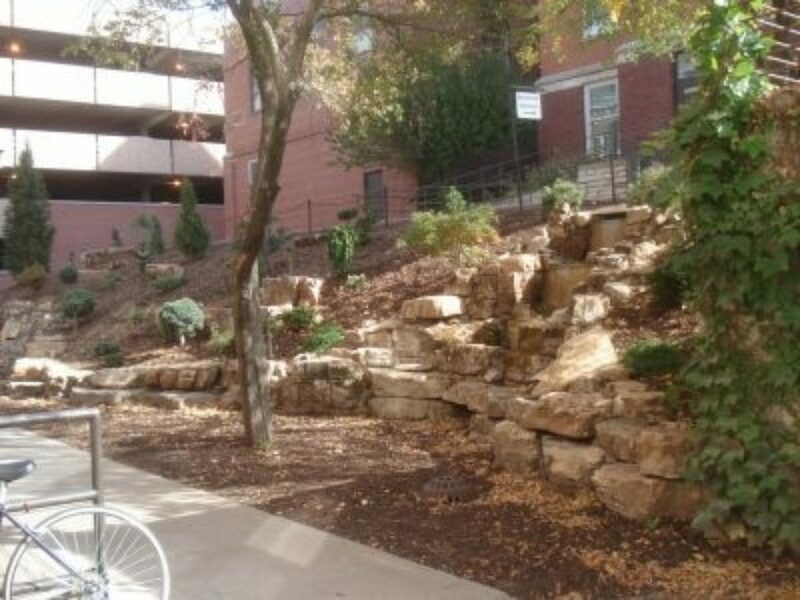 The garden’s location had long been the only green space between two buildings on the main campus. One, Halsey Hall, was for years an athletic center for female students. (It later achieved a small amount of fame for being shown on the sitcom Coach as the building that housed his office.) Today, it is used by the Dance department and as a gymnasium. 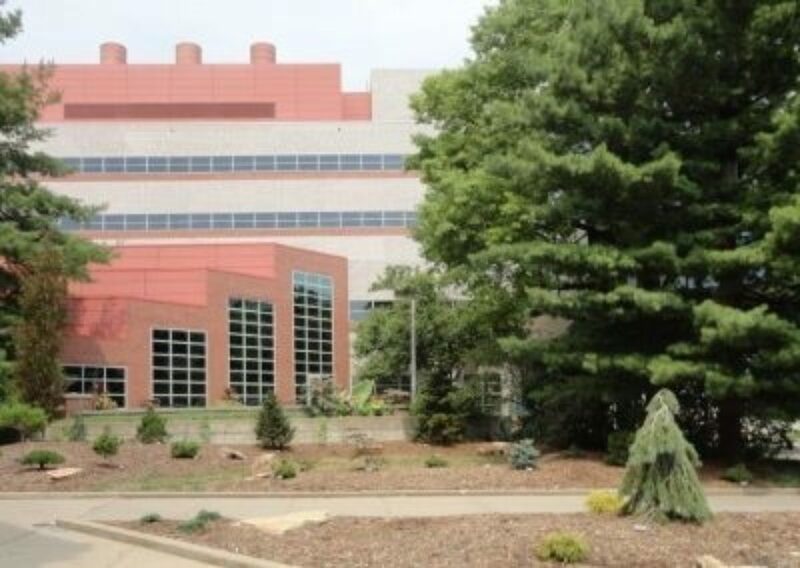 The other building, Calvin Hall, houses Financial Aid and Admissions offices among others, so almost every student enters this building at some time. 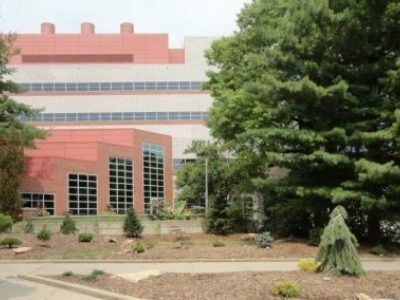 In addition, many new student orientations and campus tours visit these two buildings. 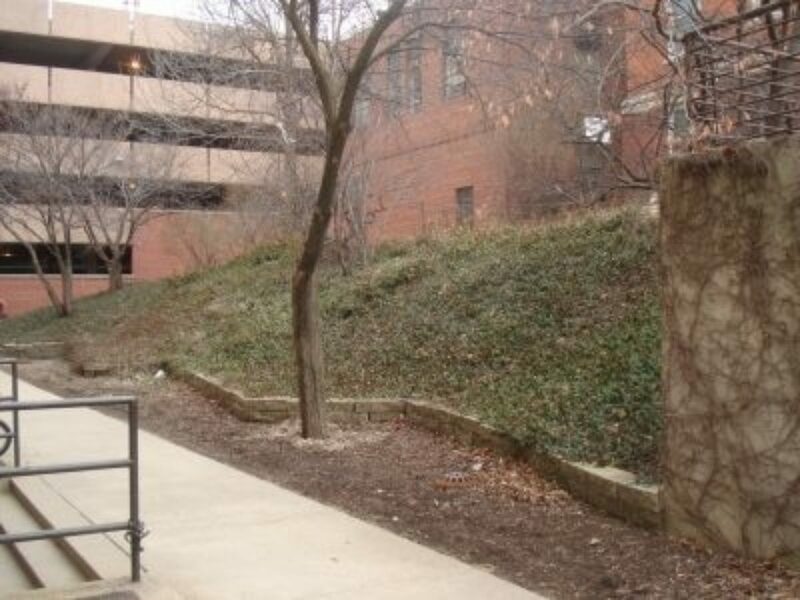 For years the green space between these two buildings was known as PI Hill (poison ivy) and was viewed as an embarrassment by the University. Starting in the fall of 2011, the landscape services team received permission to install a conifer garden in this area. 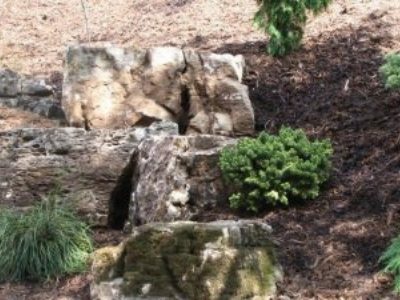 They began by removing all the groundcover and seven trees. 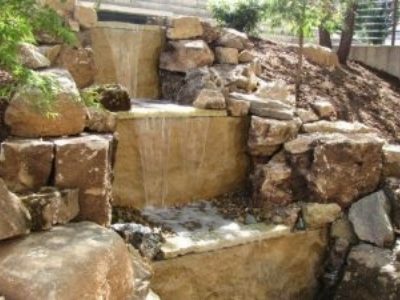 They graded the slope slightly and then four semi-loads of limestone were installed by the in-house installation crew. This stone accentuates the topography of the site and gives the illusion that these “bluffs” have always been here. 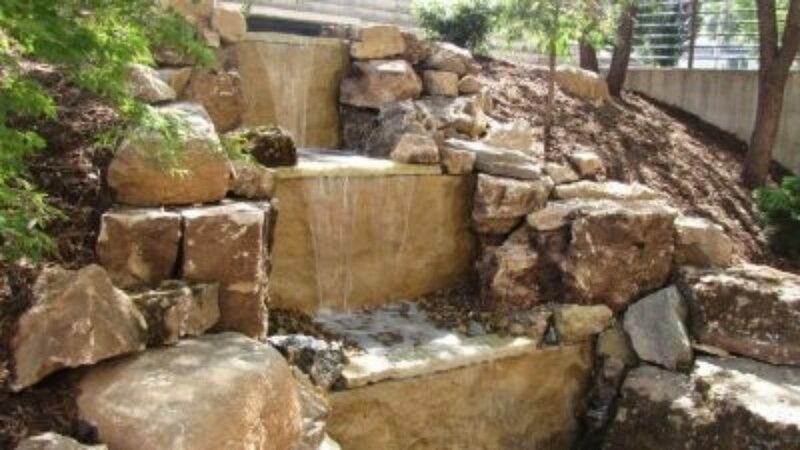 Tucked in amongst the plantings is a waterfall, which, during the summer, draws both avian and human visitors! The tiered installations make every view of the garden a feast for the eyes. The garden includes 16 genera (four of which are deciduous), comprising 31 species, and 46 cultivars. 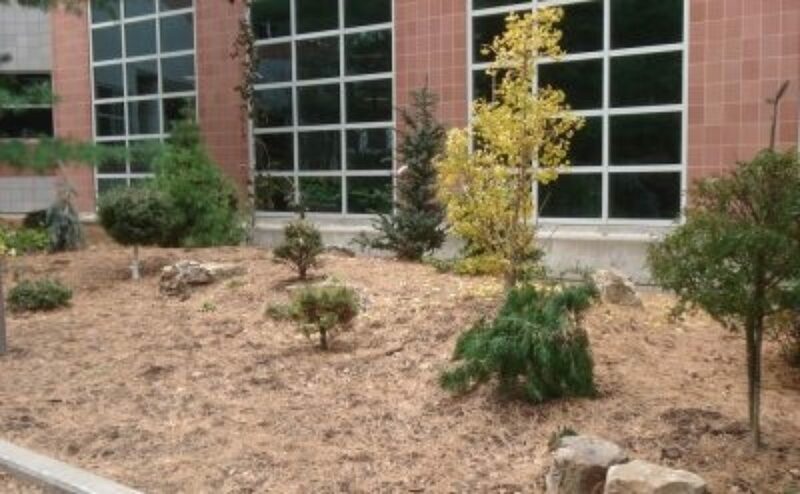 Notable specimens include a Picea mariana ‘Wellspire’ that was salvaged from the original conifer garden that was flooded in 2008 and a Pinus strobus witch’s broom found on campus. All plants are labeled, to educate those wondering “What kind of plant is that?” This is a hidden gem that people enjoy because of its private nature. 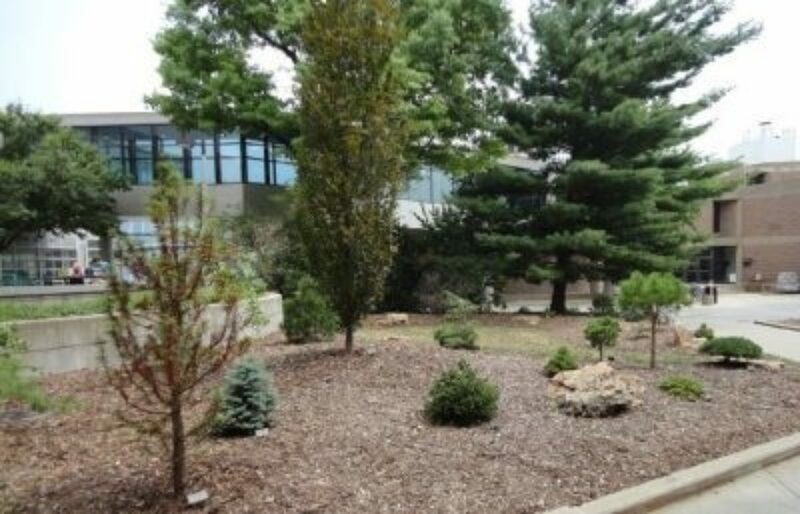 The second Reference Garden is the Eckstein Medical Research Building (EMRB) garden. The first phase was installed in the fall of 2010 and the second phase completed in 2013. 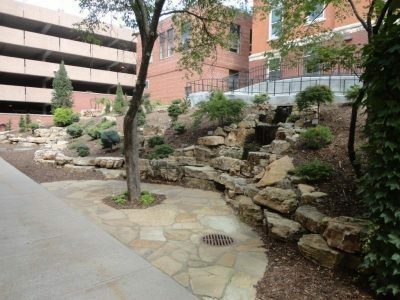 This garden is another pocket of green space in a sea of concrete. This area surrounds a popular patio outside a café. 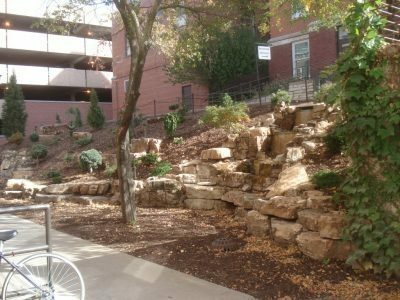 People enjoy sitting outdoors eating lunch or chatting; however, the surrounding area was very unattractive and overgrown. 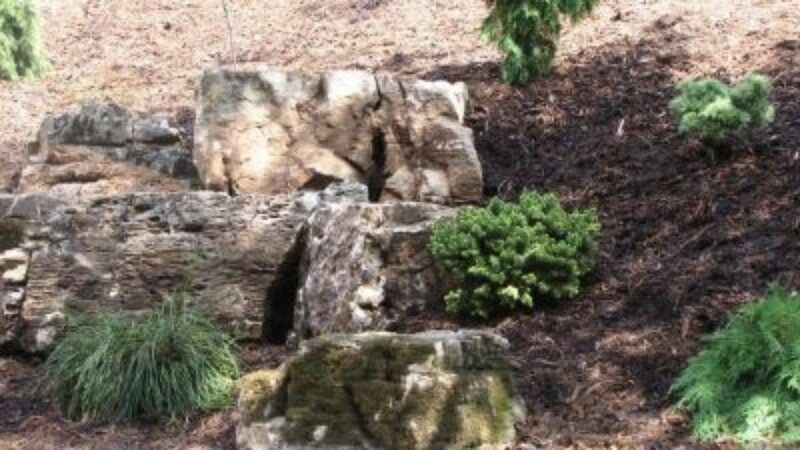 The landscape services team removed the overgrown plantings, built raised beds and installed a variety of conifers to make a secret garden “room” which now draws people in to explore. 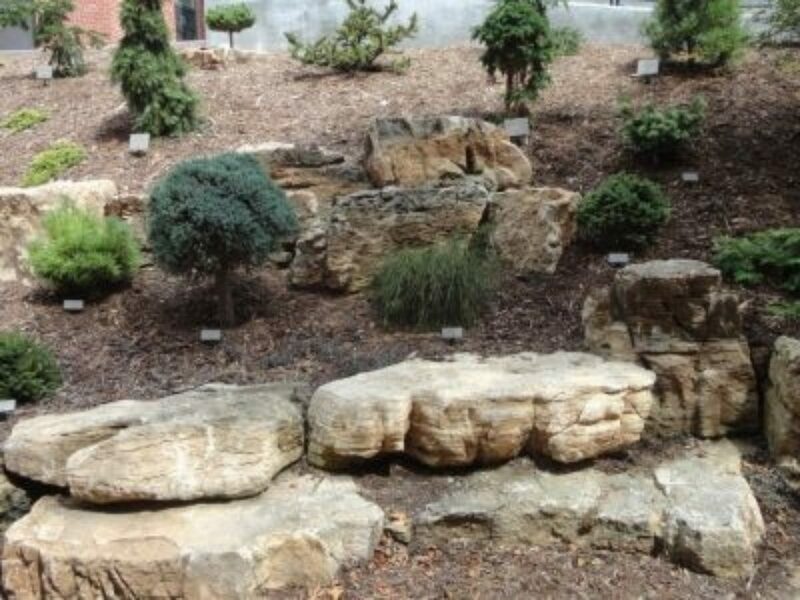 This garden features 17 genera (four of which are deciduous), 36 species and 40 cultivars. Notable plants include a large Ginkgo‘Spring Grove’ and a Picea politaoriginally planted at another site in 2002. All plants are labeled for the benefit of the viewer. Both of these gardens generate many positive comments as well as photo opportunities. These two projects have had a very positive impact on the campus landscape and always seem to be included on campus tours. 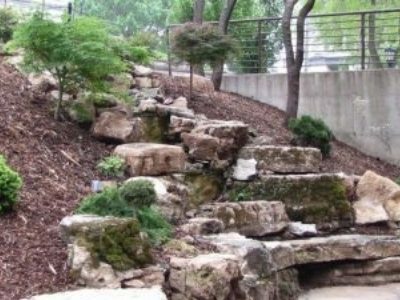 The University of Iowa has hosted the Iowa Garden Rendezvous as well as the Big Ten Grounds Managers tour at these gardens, and the University is now starting to incorporate more and more species of conifers throughout the campus landscape, now approaching 80 different species planted throughout.